Speedy Boom is a very happy and psychoactive strain that will have you in a good mood in no time. Ready in 70 days maximum. 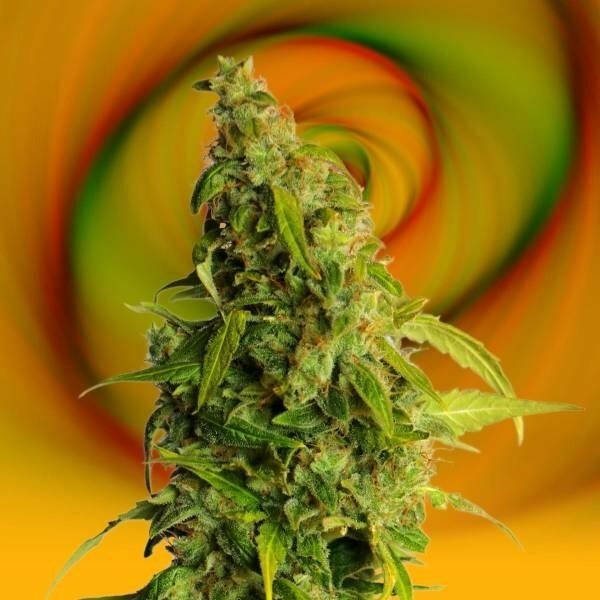 Kannabia - Speedy Boom Auto: Pure bred perfect autoflowering taking you up in a happy mood. Speedy Boom Auto by Kannabia is a pure bred autoflowering strain with a very high psychoactive level. She is very easy to grow in basically any circumstance and will reward you with some nice flavoured and effective crops. She grows to a medium height both indoors as well as outdoors and does best in dry climates. She produces some magnificently fat nugs especially indoors. They are known to be as hard as rocks and totally covered with resin. Speedy Boom Auto has a nice psychoactive effect and is recommended for medical users as she has a very uplifting happy high that might help against depression for some people.